I love the handmade patchwork quality of so many of these little places, sandwiched between larger structures. 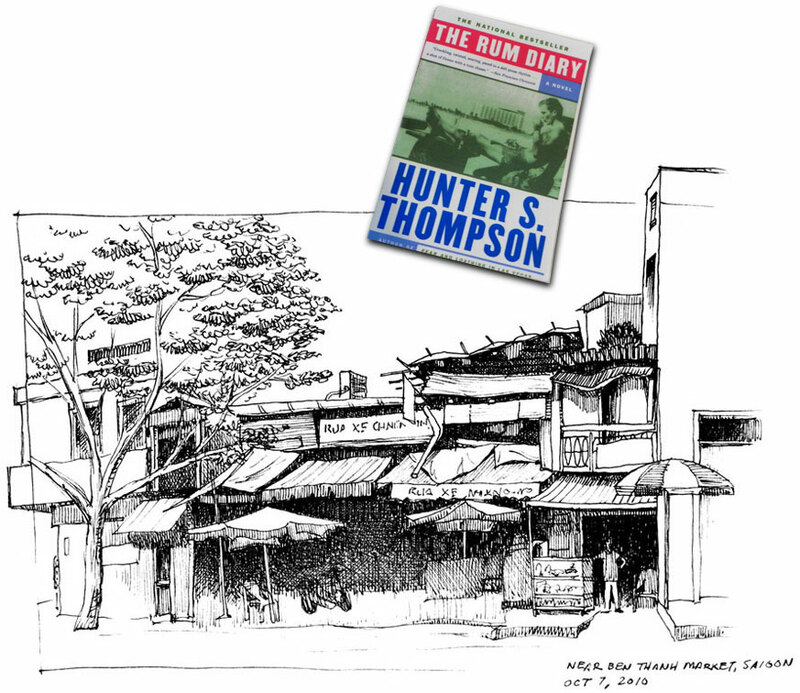 After saying no as many ways as I could muster, I bought The Rum Diaries by Hunter S. Thompson from a sweet girl selling bootleg books. Great composition and placement of values. A really good sketch. Don, great series of sketches, enjoyed the line work. How cool to see them the day of (half a world away...)o.k. close to day of. Great sketches Don! Love the lights and darks and the complex perspectives.